Business promotion is to running a successful business as practicing scales is to playing the piano well; it may not be a thrilling activity in itself, but you just have to do it! You should spend at least an hour a day on business promotion or planning how to promote your business (and more is better if you can fit the time in). You promote your business by getting the word out, and the first axiom of business promotion is that you have to do this consciously. You can't rely on other people to do it for you, no matter how great your product or service is. The second axiom of business promotion is that like every other aspect of your business, it's a budgeted activity. But promotion doesn't have to be expensive. Here are ten inexpensive ways to promote your business; all most of these will cost you is some time. 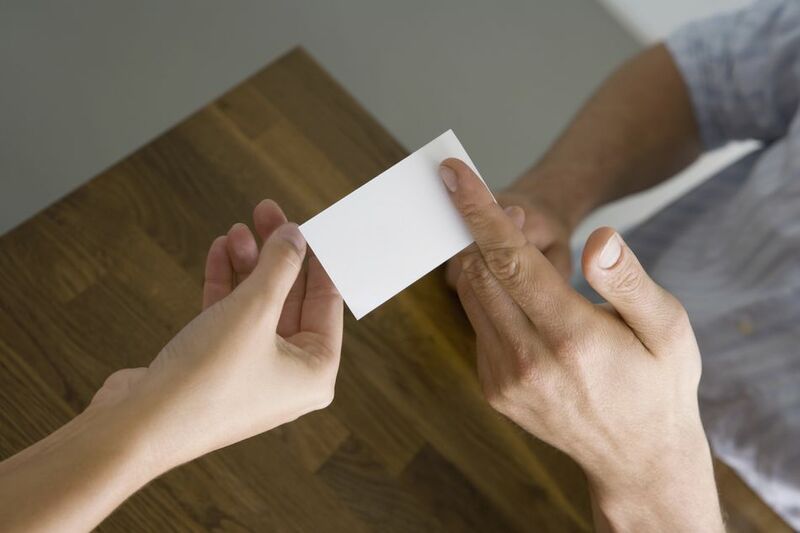 You have business cards, but you also put out a lot of other documents in the course of doing business. Check these to make sure you're using their promotional possibilities to full advantage. Is your business name, logo, contact information (including web address), and slogan present on all your correspondence? Any document that you send out (whether electronic or printed) should have a letterhead with all of your company information. And don't forget to make sure that your email has a complete signature that provides all your business information and a promotional tagline. You can also add a section with links for Facebook, LinkedIn, Twitter, and Pinterest so the recipient can connect with you on social media. Electronic documents, such as email, are easy to update with your latest business promotion information, whether it be a special price on your product or service or letting people know that your company has won an award. Remember, it's not just an email, it's a business promotion tool. You're sending it out anyway, so why not make it work for you? Mobile business promotion isn't just for white delivery vans. Many vehicles have the name and phone number of a business decorating one of the windows or doors. Think of all the people who see your vehicle when you're driving around — especially if you live in a place where people often get stuck in traffic! Modern vehicle wrap advertising consists of applying removable "stickers" containing your business logo and information. Wraps are digitally printed onto a specially-applied media and will not harm the vehicle paint job. According to the Outdoor Advertising Association of America, depending on your locale and population size a single vehicle wrap can generate 30,000 to 70,000 views per day, making it one of the most inexpensive ways to promote your business. And if you want to go all out, there's nothing like a special paint job for eye-catching advertising. Facebook, Twitter, and YouTube are great ways to promote your business through​ social media. A good example of how this can be effective was illustrated to me recently when we had a power outage that affected some areas of our community. One of the local restaurants posted on Facebook that they had power and were open for business and within an hour they were packed with customers. To get started with social media, create a social media plan. If you are skilled at taking video (or know someone who is) you can record video promotions of your products or services and post them on YouTube. When you're thinking of how to promote your business, don't forget about writing articles. Well-written articles can provide free advertising and build positive word-of-mouth. If you're a realtor, for instance, you could write a piece on preparing your home to be shown. If you're a website designer, you might write a piece about assessing website usability. The more specific your topic the better. Write a short biographical note, or "blurb" about you and your business to go with the article. Then send it out! Where? As the goal is to promote your business, ideally you'd like it to appear in a publication that your target market will be reading. Blogs/websites: There is an astronomical number of these that are hungry for content. Many accept, even seek out, "guest posts", blogs or articles from people not employed by the person or business running the site. These can be great promotional placements for you as long as you choose the blog or website you allow to publish your work carefully. Having one or more of your articles on a site that gets little traffic isn't going to help you and may even hurt your business if it's a spammy looking site. Ideally, you want to get your piece published on a blog or website that has high traffic and has a good chance of being visited by your prospective customers. You also have to choose carefully in terms of your target market. If you're selling baby clothes, getting one of your articles published on a blog about Search Engine Optimization isn't going to be seen by many (if any) of the customers you hope to impress. Getting your work on a popular blog directly related to bringing up baby would be a much better fit. Magazines: The magazine industry isn't dead yet and many of them are always looking for content too. Once again, the trick is to get your article published in a magazine that your target market is likely to read. Search for these online by specific topic (for example, baby magazines). Freelance writing sites also provide a great deal of information on all kinds of publications that might publish your efforts. Make your research easier by starting with a great site that provides all kinds of lists and information on markets such as FreelanceWriting.com. Newspapers: Print media can still be a good place to put your business promotion article. Try contacting the Business editor of your local paper and pitching your article. If this approach fails, you might be able to get your piece into the printed or online version of the paper by sending it in as a letter to the Editorial section. Sending out press releases is another great way to get some free business promotion. The caveat to using press releases as a business promotion tool is that your press release has to actually contain information that is newsworthy and be engaging enough to get people's interest. Has your business recently expanded? Do you have a new product? Have you been involved in some promotional activity such ​as sponsoring a charity event? Have you or your company recently won an award? All of these are examples of "news" that you can capitalize on to get some free promotion for your business. Press releases can be published online or in print. Buddy marketing involves joining up with another business or businesses and pooling your resources to promote all of your businesses. As is a joint venture, buddy marketing is a great way to extend your reach. For example, when you send out brochures, you could include a leaflet and/or business card of another business which has agreed to do the same for you. This gives you the chance to reach a whole new pool of potential customers. You might also plan and carry out business promotions with complementary businesses. A pet store and a pet grooming business, for example, might use shared advertising or run a contest together. This can considerably cut down the cost of promoting your business and allow each business to use promotion techniques that would be too expensive to implement alone. We're all familiar with hearing or reading advertisements that promise that the first 50 people to visit a particular store will receive a free (____). You fill in the blank. It could be anything from a red rose to an ice-cream cone! Pens, designer mugs, ball caps, and T-shirts are always popular as well. We're all familiar with this kind of spot promotion because it works. People love to receive things that are free. Besides using freebies as business promotions, you can also use them regularly as customer "rewards". You have expertise that other people are interested in. (You couldn't be in business if you didn't.) Why not share that expertise and promote your business at the same time? For example, a local carpet company advertises a free seminar on installation techniques for a type of laminate flooring. Participants not only learn how to install this type of flooring themselves but are offered special discount prices if they wish to purchase laminate flooring. Another local retailer who sells goods made of stained glass offers courses on working with stained glass on-site. If there's no direct tie-in to your product or service, you can still give a presentation on a related topic. Nursery people or horticulturalists, for instance, often give demonstrations on topics such as tree-pruning, or slideshows of famous gardens they've visited. If it's not feasible to present the seminar at your site, because you're a home-based business or just don't have the facilities you would need, arrange to give the seminar elsewhere. Many government-sponsored organizations and non-profit programs are always looking for experienced business people who are willing to give presentations. You may also be able to arrange to present your topic through the Continuing Education branch of your local college or university. Scared? Start small and start building a name by making a presentation to one of your local groups such as your Home-Based Business Association or Business Women's network. If public speaking terrifies you, try Toastmasters, an organization which has helped a great many people get over this fear and be able to address groups of people. Whether your chosen leisure activity is working on a museum restoration project, rock-climbing, or shopping, there are all kinds of ways to promote your business while you do what you love to do. Where's the harm in shopping or rock-climbing wearing a T-shirt that has the name of your business prominently displayed? Or in taking your business cards everywhere you go and clipping your card to the slip when you pay for a purchase by card? If you or your kids play on a sports team (or you just have an interest in one) consider becoming a sponsor and get your business info on the team uniforms. Get in the habit of doing business promotion wherever you go and you'll be surprised how word-of-mouth builds. If your leisure activity involves a group, you might ask if you can include your business information on all of their out-going newsletters, or ask if you can at least give everyone a brochure. And with any kind of group activity, there's always the opportunity to promote your business by letting other people know what you do and how it could benefit them. This doesn't mean that you talk about nothing else, but there are bound to be chances to talk about your business that crop up during normal conversation. Your local radio station or cable TV station may have programs that are looking for guests — a great low-cost way to promote your business! And don't forget to search for suitable podcasts on the internet. Business-related programs are ideal. Find out who the host is and approach him or her as willing to share your expertise on a particular topic. Call in programs are popular; you may be able to appear as a guest expert. If you're a mechanic, you might offer to take call-in questions on car maintenance; if you operate a health store, you might market yourself as an expert in herbal remedies. Have your proposal clearly worked out before you contact the program host, and make sure the parameters of your appearance, such as details about plugs, are clear beforehand. You can also take it a step further and create your own podcast. If it becomes popular enough, the time invested could be worth it.